If you remember, back at the end of July I started asking for people to send in blocks each month. 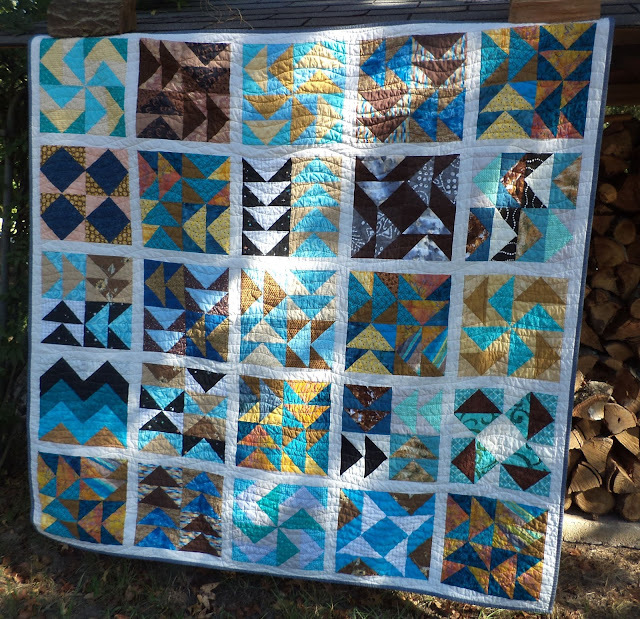 August's block was a flying geese block in browns and aquas and you guys responded in force! I decided to sash the blocks with a Moda solid called "fog" in a narrow width. I'm really impressed with how well all the blocks go together considering they were sent in by so many different people. 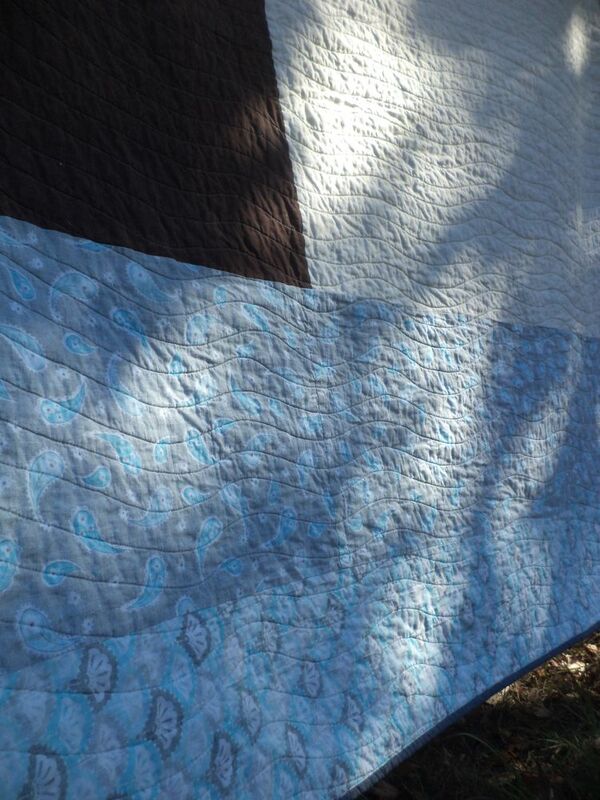 I quilted the Flock quilt with my FMQ foot in waving lines, which I think creates a nice sense of movement. 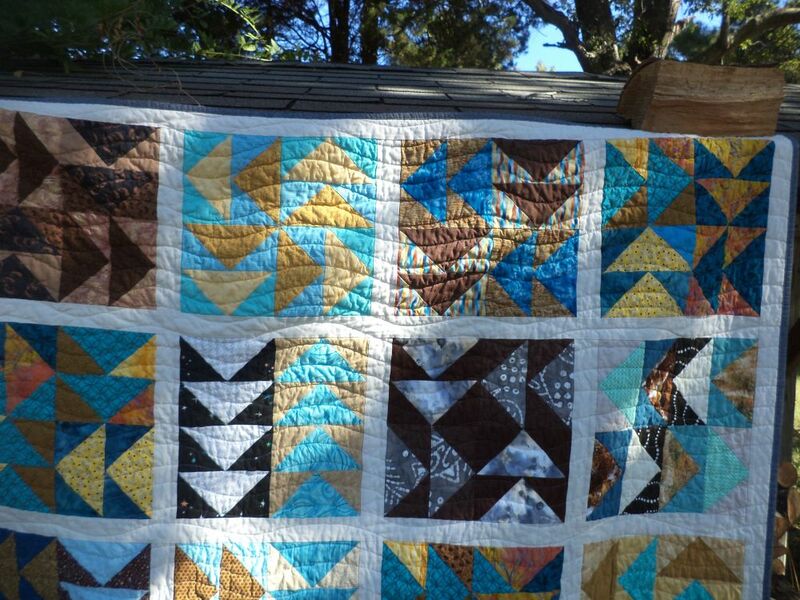 The quilt ended up nice and large, 72" square! I bound it with a black/white crossweave fabric. Thank you to everyone who has sent in blocks the last couple months! If you want to contribute to Covered in Love in any form you can check out the main page. If you want to participate in the block drive this month's post is up here, we're making string blocks! 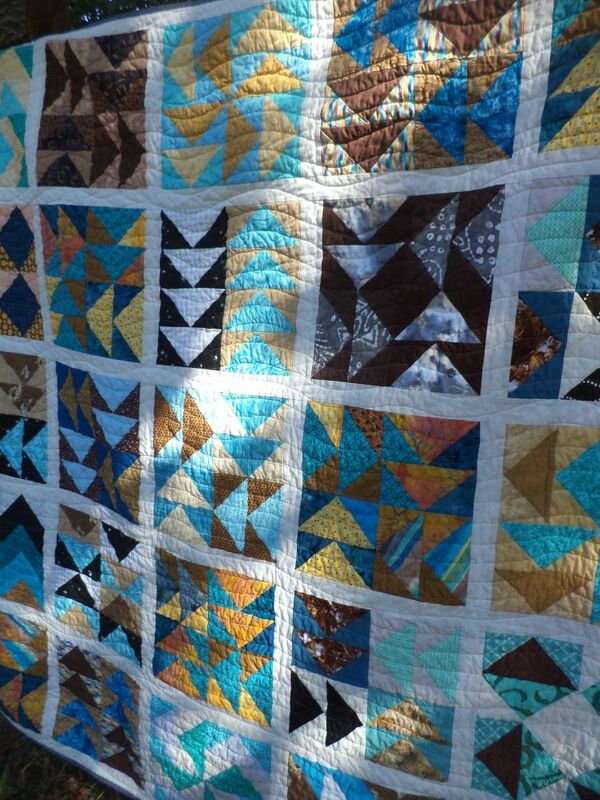 "Our" quilt turned out just beautiful! You did a great job on it. 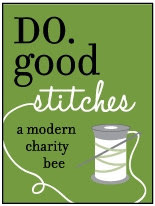 Strings are my favorite, so I'll send you a few blocks later this month. It turned out beautiful! Congrats on another finish! The sashing lets each block shine! 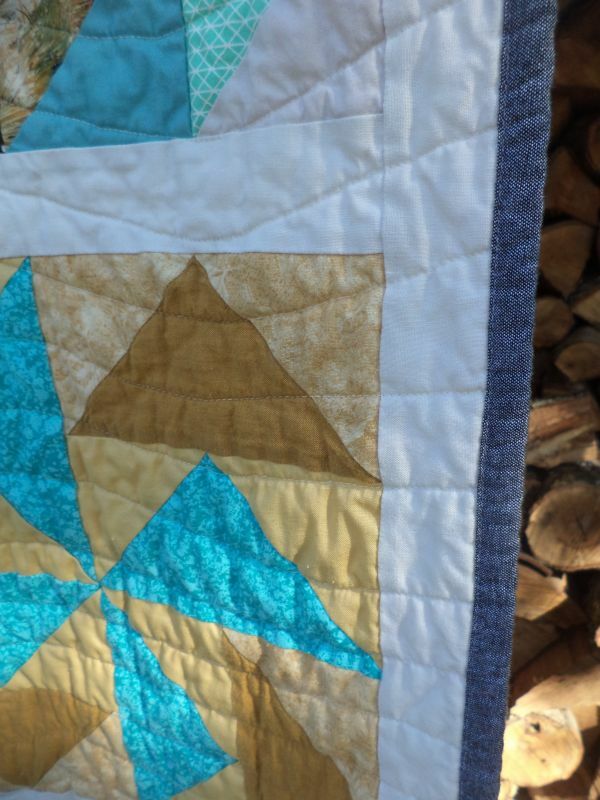 So nice to see it quilted and ready to gift! This is just beautiful - lovely to see the finished product. THis is just wonderful! What great colors. The quilt looks great, and the lion's share of the credit goes to you for coordinating the project and tying all the blocks together so beautifully. That's an amazing finished product. To have so many people with guidelines like flying geese and a colour palette. It looks fantastic.